Is the fear of litigation preventing doctors from trying new and innovative treatments? The Medical Innovation Bill is going through Parliament. Lord Maurice Saatchi proposed the Bill earlier this year and has stated that the fear of being sued for medical negligence is a barrier to medical innovation and, in particular, a cure for cancer. Lord Saatchi sadly lost his wife to ovarian cancer in 2011 and he feels the search for a cure for cancer is being hindered by doctors being unable to provide new treatments for fear of being sued if something goes wrong. The use of the phrase “standard practice” is misleading and does not accurately reflect the law in relation to medical negligence, which is concerned with ensuring “acceptable” practice and procedure. The Bill allows for there to be a statutory Defence to a medical negligence claim for doctors who depart from standard practice in treating a patient where such departure is deemed to be innovation. This approach suggests that a doctor would not necessarily have to tell their patient that the treatment was new and relatively un-tested because they could defend their actions by saying that they were innovating. This defence could have far-reaching consequences for patients and the information they need to be given in advance of being treated and needs to be considered extremely carefully. 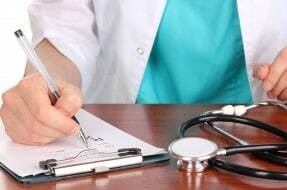 The legal test applied by medical negligence solicitors has been in place since 1957. To make a successful medical negligence claim a patient has to prove (1) that the treatment they received fell below an acceptable standard and (2) that the substandard treatment caused or contributed to them suffering injury. In order to prove that medical treatment fell below an acceptable standard, a patient has to show that the treatment provided was treatment that no other clinician practicing in that field at that time would consider to be reasonable. A doctor is not negligent if they can produce evidence that there is a body of responsible clinicians in the relevant field who would have provided exactly the same treatment. The law provides for there to be a divergence of opinion as to appropriate treatment in certain situations and as long as the decision taken is supported by a responsible body of opinion in the same field of practice, the doctors do not have to be concerned that they will be found to have been negligent simply because another practitioner may have done something different. The law is however there to protect patients from any particular doctor providing treatment which is not supported by appropriate evidence and a responsible body of their peers. This is not a barrier to innovation and it is worrying that the Medical Innovation Bill seems to be suggesting that it is. This is a highly important and emotive issue and highlights the complexity of the law in relation to medical negligence and bringing medical negligence claims. It is important where you have concerns about your medical treatment that you seek advice from a specialist lawyer who understands the law in this area so you get the best advice. The Clinical Negligence Team would be happy to discuss any concerns you may have.